Fixed blade from Butch Beaver fratures a stainless steel blade, mastadon scales and some nice file work and engraving. Come with a tooled leather sheath. 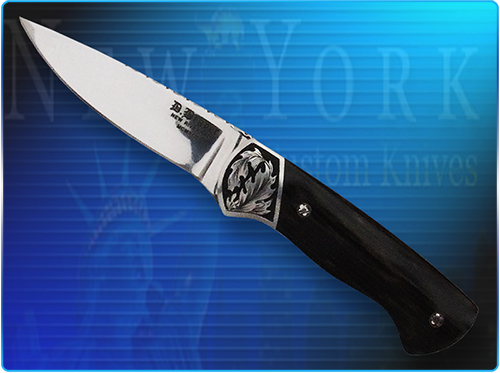 Blade Length: 3" Overall Length: 6"